Satoko Tawada (thirty-year-old career woman) has befriended Mashuu Hayama (twelve-year-old boy) after she sees him playing football alone in the local park at night time. She knows that she’s been treading a dangerous path in which her good intentions could well be seen as meddling – or far worse – as she has no links with the boy’s family, but she’s been unable to stop herself as she’s developed a real affection for her young friend. But now, reality has set in as Mashuu’s workaholic father appears, demanding to know what she’s been doing – without his permission – with his older son. (Which, if you’re a parent, is not an unreasonable question to ask. And, as he’s been an absentee parent, leaving the boys to their own devices in the evenings, there’s an added element of guilt.) An awkward conversation between adults takes place over drinks at a family restaurant, which is interrupted by Mashuu, begging his father to be allowed to continue practising football under Satoko’s experienced eye. After Mashuu’s intervention, Hayama senior warily agrees – on condition that Satoko contacts him at the start and the end of each weekly practice. But Satoko has not been honest with Mashuu’s father. She has not told him about the outings she’s treated the boy to – or the times he has visited her flat, even sleeping there one night. So when she gets a summons to her boss’s office (Shiikawa her boss is also her ex, to complicate matters) a complaint has been made. The dream is over. What will become of her? Will she lose her job? And is this the last time she’ll be able to be in contact with Mashuu? 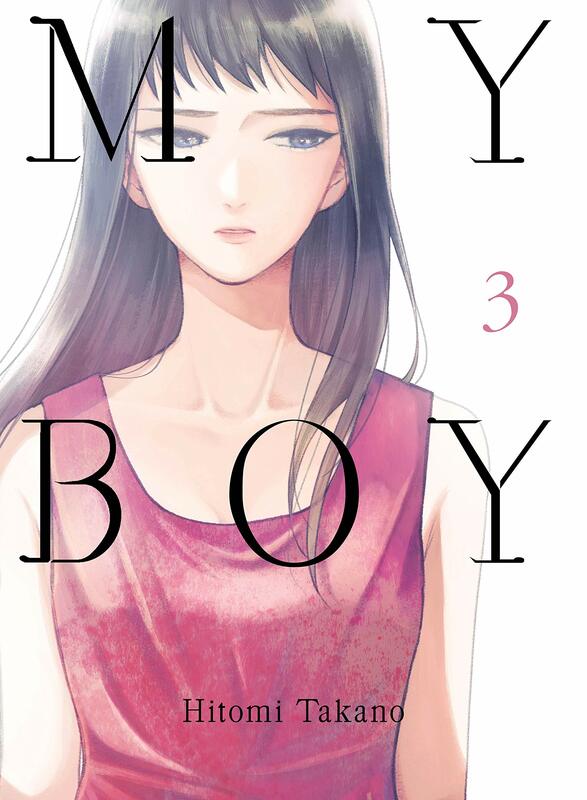 Up until now, I’ve been impressed with the way Hitomi Takano has revealed Satoko’s story, showing us everything from her point of view yet subtly managing to let the reader make their own assessment of the young woman’s actions. Questions have always been hovering in the background: whose interests are being served in this friendship? Is Satoko really thinking about what’s best for Mashuu? Why is this relationship so satisfying for her? Is she trying to relive her own childhood? The artwork is still attractive and expressive. Mashuu looks young for twelve and attractively androgynous and Satoko’s varied facial expressions tell us very convincingly how she’s thinking and reacting, inviting us to empathize. However, for this reader, the story makes a big misstep in the last two chapters of the volume. Just one coincidence too many tips it over into soap territory. Not that there’s anything wrong with soap. But up until now, the mangaka has managed to make her narrative fresh and different, putting an unusual spin on the interactions between her characters. Chapter 14 ‘Drama’ could better be called ‘Melodrama’ as a sudden falling back on rather tired plot coincidences moves the story on but only at the expense of undermining the subtle writing that’s gone before. The Afterword in which the mangaka has fun depicting how the editorial meetings went with her two editors about these chapters gives a little explanation as to why – but, to me, this doesn’t really justify these predictable decisions in terms of characterization and plot. So, it’s a little sad to end this review on a negative note. On a more positive note, the mangaka uses some neat graphic ways to convey what’s happening, notably in the restaurant meeting between Satoko and Mashuu’s father in which the images and dialogue begin to depict everything else that’s happening around them: food, fragments of the other diners’ conversations which Satoko is picking up on, rather than listening to Mashuu’s father talking to her. “Why is it that there are times when I can’t hear him speaking?” she wonders – and then the next page shows a montage of her memories with the single exclamation “Oh” at the centre. “Is it because we’re not on the same wavelength at all?” follows below. This is an imaginative and meaningful way to convey what’s going on in Satoko’s head and shows why – in spite – my reservations about where the mangaka’s taking the story, Hitomi Takano is still worth reading as she’s doing clever things that can only done with words and pictures together: surely, the whole point of manga? The translation for Vertical Comics is again by Kumar Sivasubramanian and does an excellent job of conveying the dialogue very naturalistically (although I, personally, would prefer Japanese honorifics to be preserved).